Today marks the birthday of the Egyptian cinema icon, actress and comedian Mary Mounib. She was born in 1905 near the Syrian capital Damascus into a Lebanese family, later she and her family relocated to Cairo at a very young age, she got her education and later started her acting career in the city’s film industry. 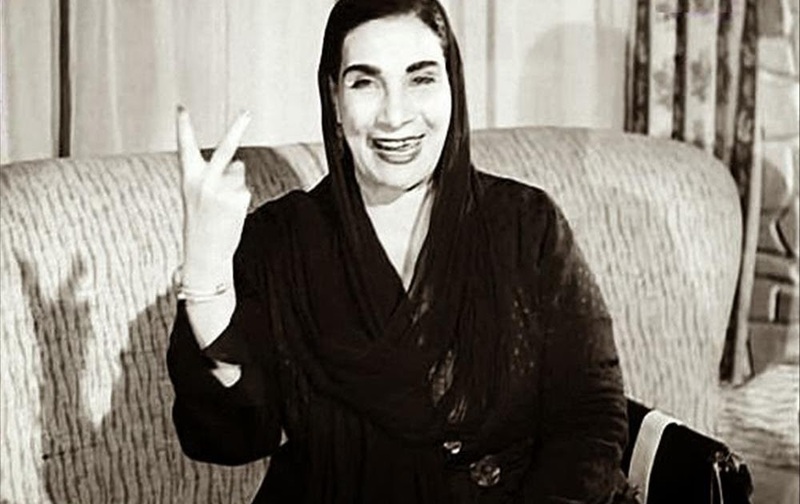 She was (and still is) known for using her catchy phrase “Medawebahom Tneen” in almost all of her films. She used to have her own signature phrases, moves and a very unique personality, of course many actresses were able to play comedian roles, but non of them managed to achieve the success that Mary Mounib obtained. Mary was the first Egyptian actress to break men’s monopoly in the comedy field; Plays were written just for her and she would be cast in as the leading lady same as other male comedians. She began to provide for her family after her father’s death in the Levant, at a very young age she was involved with the local productions, which later shot her to fame. In 1934 she finally got her big break when she joined the El-Rihani Ensemble. Although she was working on many different plays, her first appearance on the silver screen was a small part in Ibn El-Shaab (Son of the People). From small roles to leading status, Mary achieved her success as an actress in a male dominated industry, particularly in comedy films such as; Inshudat Al-Radio (Song of the Radio) in 1936, and in Hatha hoa Al-Hob (This is love) in 1958. Her breakthrough came when she began to pick roles in which she portrayed Egyptian mothers, or the mother in law, and the sharp-tongue middle-class spinster. No matter what her role was throughout the five decades she acted in, with almost 200 roles under her belt, she managed to create a long lasting impact in the Egyptian cinema. On this day Google is celebrating her with a doodle designed by a Cairo-based artist Shennawy, celebrating her life and art in most artistic way, it could be seen across Google in North Africa, the Levant and the Gulf. WE SAID THIS: The Egyptian film industry is always filled with amazing artists.